Gladstone is a picturesque Michigan city notched on the coast of Little Bay de Noc. Known informally by its residents as “Happy Rock”, Gladstone offers unique scenic views to its inhabitants. Whether you’re moving to or from this peaceful place, it is crucial that you have a moving and storage company that knows what they are doing on your side. 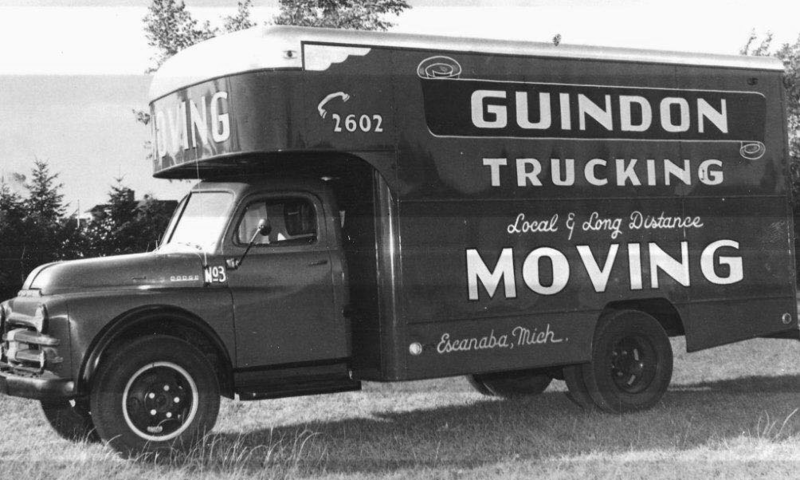 Guindon Moving & Storage has been serving Michigan’s Upper Peninsula and Northern Wisconsin for over eight decades. Being so well versed in what it takes to execute a successful move is what continues to propel our moving company. Long distance moving, local moving, commercial moving or even international moving – Guindon Moving & Storage does it all! Michigan’s Upper Peninsula offers unparalleled opportunities to experience nature’s beauty. The city of Gladstone is no exception to this. Get outside for the day on the Days River Natural Trail, one of the city’s many outdoor excursions. If hiking isn’t your thing, just head over to the beach. You can relax in the sun and work on your tan, take a walk to the city’s lighthouse, or just enjoy some quality time fishing on the water. You can even store your own boat in Gladstone Harbor for quick and easy access. Other popular activities favored by tourists and residents are the city’s pristine golf courses. Whether you’re shooting the back nine or the full 18, Gladstone’s options are sure to keep you coming back. One frequented course is the Gladstone Golf Club. This well-maintained and winding championship course is among the largest in the Upper Peninsula. It rewards both novice and experienced players with an immersive forest experience and entertaining gameplay. Another favored golf course is Irish Oaks. Contained within a gated retirement community, golfers can enjoy groomed greens and fresh fairways. With a population around 5,000 individuals and year-round activities, Gladstone offers you that inclusive small town feel with big time opportunities. Moving can be a stressful event an individual goes through in life. With the assistance of Guindon Moving & Storage, that does not have to be the case. Our accommodating movers have over 80 years of knowledge to deliver top notch service to our customers every time. When you hire our comprehensive moving services, whether its for long distance moving, commercial relocations or a local move down the street, we take the time to evaluate your specific needs. Once we understand the exact requirements that you need met, we’ll develop a detailed moving plan tailored to you. Peace of mind is one of the best factors we bring to the table. Our professional movers understand the significance of your valuables, which is why we never cut corners. Fragile or sensitive items will be protected with high-quality padding and wrapping materials. We’ve packed for thousands of moves, so safely transporting your possessions is second nature for us. We even offer storage for items that need to be protected after you get settled in. Your belongings will be carefully crated and stored in our government approved storage warehouse until you’re ready to have it placed in your new home. If you have any moving and storage needs in or around Gladstone, reach out to us! We’re available over the phone at (906) 786-6560 or fill out our free online estimate to get started.